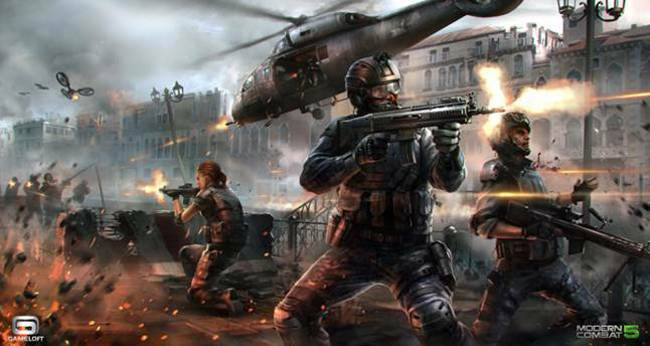 Gameloft has finally given us a release date on their long-awaited shooter, Modern Combat 5: Blackout. This action shooter will be released for Android, iPhone, and iPad devices on July 24th. Gameloft has been pretty much hyping up this shooter for some time now with all its crazy gadgets and gizmos. They specifically have discussed the multiplayer which will include four different modes, different classes, and squads, among other goodies. You can also of course expect a hopefully wonderful single-player campaign. Modern Combat 5: will be released for only $6.99 and you also won’t have to worry about any IAPs with this latest mobile game, but the game does require a constant internet connection. Make sure to keep checking back for all the latest Modern Combat 5: Blackout and other mobile gaming news here at MGP.